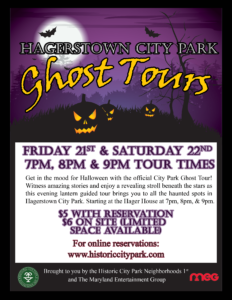 Ghost Tours This Friday & Saturday! October 21st and 22nd at 7pm, 8pm, and 9pm. 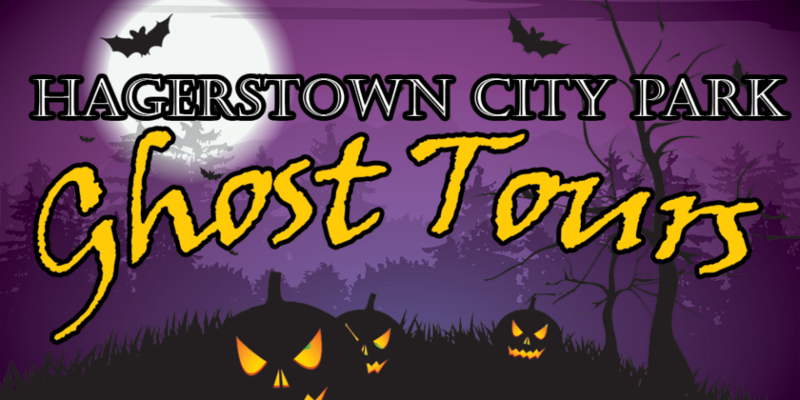 This Friday and Saturday, October 21st and 22nd, get in the mood for Halloween with the official Historic City Park Neighborhoods First Ghost Tour! 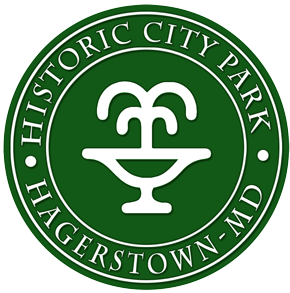 Witness amazing stories and enjoy a revealing stroll beneath the stars as this evening lantern guided tour brings you to all the haunted spots in Hagerstown City Park. Starting outside the Hager House at 7pm, 8pm, and 9pm. 7:00 p.m., 8:00 p.m. or 9:00 p.m.